Sea Toy Sportfising is well known throughout the Mid-Atlantic as a seriously busy charter operation but equally so for their many successful tournament runs. For 28 seasons and four boats, Captain Bull Tolson ran Sea Toy for owner Dave Wood, an unheard of legacy in what can be a capricious business. Recently sold to a new ownership group comprised of sportfishing veterans Jim Bayne, Wayne Enroughty, Bob Swope and David Biggs, Sea Toy is committed to upholding and building upon this impressive history. Starting out the 2018 season, DJ will hand off the primary cockpit duties to our new mate Catlin Peele. DJ will continue to join us for some tournaments, but will be heading out for new adventures. Captain Bull is grateful for the long run with DJ and is excited about the chapters that will unfold with Catlin in the cockpit. Today, the legacy grows, and Captain Bull and the whole Sea Toy team always shoot to provide a first-class offshore experience that is highly regarded among the Mid-Atlantic charter fleet. Capt. Bull Tolson is a native to the Outer Banks’ with a personal and family history deeply ingrained with local fishing. His grandfather, Sam Tillett, was one of the pioneers in charter fishing with the opening of Sam & Omie’s in Nags Head, the original charter boat headquarters for the Outer Banks, (now a well known restaurant). Capt. Bull began fishing as a mate aboard a charter boat in Hatteras NC at the age of 12 and became a United States Coast Guard licensed captain at the age of 18. 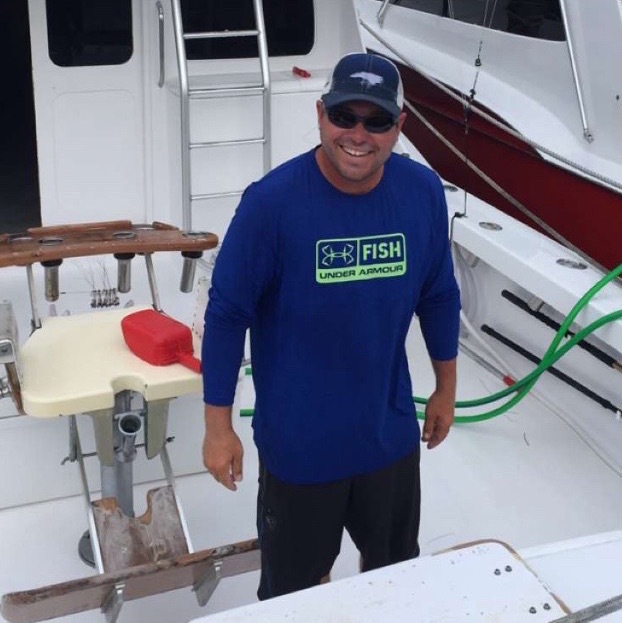 His fishing experience extends beyond the Outer Banks’ with stints in Bermuda, Mexico, the Bahamas, and numerous waters along the East Coast. Tournaments are a specialty for Capt. Bull with winnings recorded (at least once and sometimes twice) in the White Marlin Open, Oregon Inlet Fishing Center, Hatteras Harbor, Hatteras Marlin Club, Pirate’s Cove Billfish Tournament, Alice Kelly, Allison Tournament, Big Rock Blue Marlin Tournament, Manufacturers Cup, Bermuda Blast, Bermuda Big Game Classic, Bermuda Sea Horse, and the Virginia Beach Billfish Tournament. Catlin’s fishing career started at the age of 5, commercial fishing with his grandfather Lee Peele. In his teenage years he could be found washing charter boats, loading ice and cleaning fish at Hatteras Harbor Marina to earn extra cash. His first mates job was with legendary Capt. 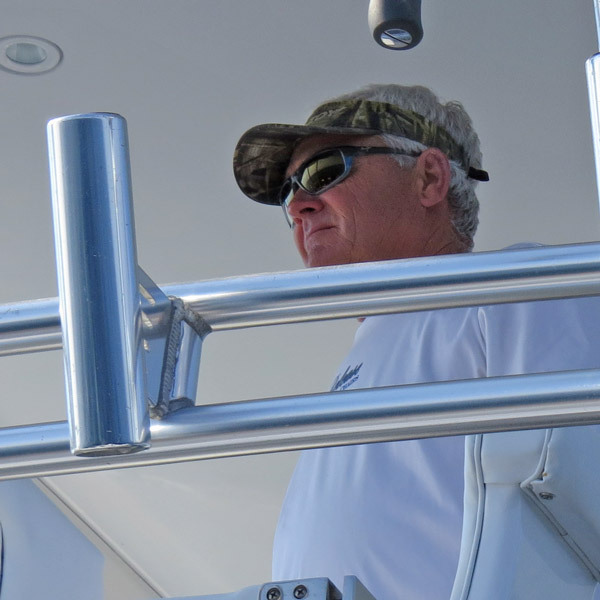 Buddy Hooper on board the Hatteras Fever II, where his passion for offshore fishing began. Throughout his career as mate, Catlin could be found working on world-renowned boats such as the Stream Weaver, honing his offshore fishing skills. He also holds a USCG Captain’s license. Most recently, Catlin was the mate on the Bite Me with Capt. Jay Kavanagh for 5 years prior to joining the Sea Toy and awarded the Hatteras Mate of the Year for 2017.